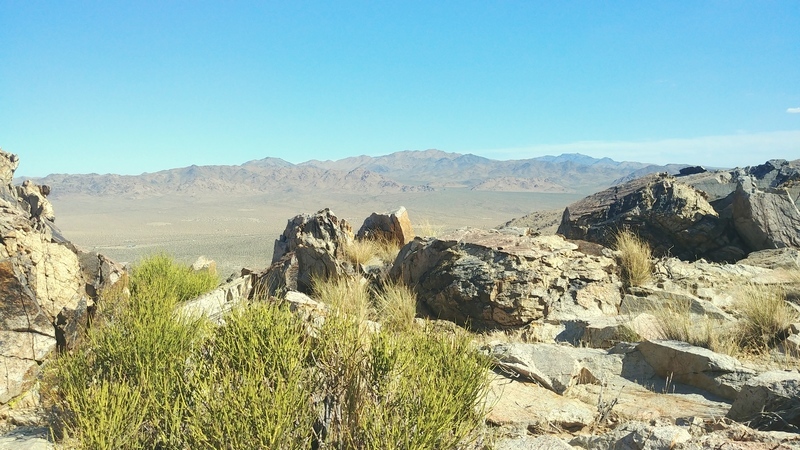 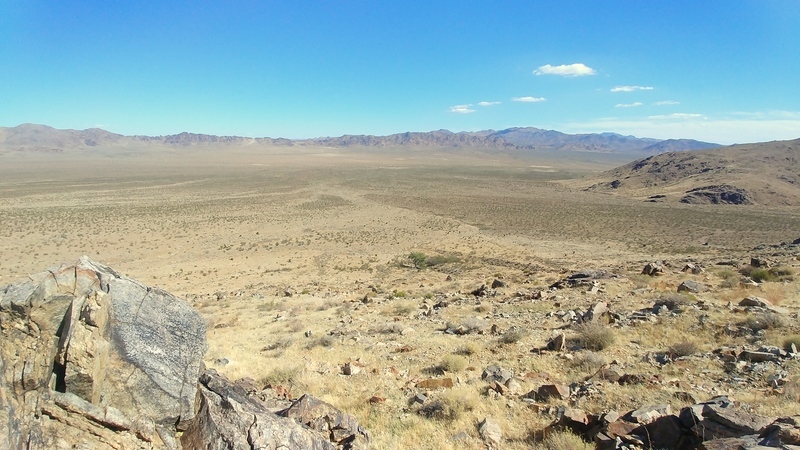 Not your ordinary Section of land, this 640 acres includes Sidewinder Mountain. 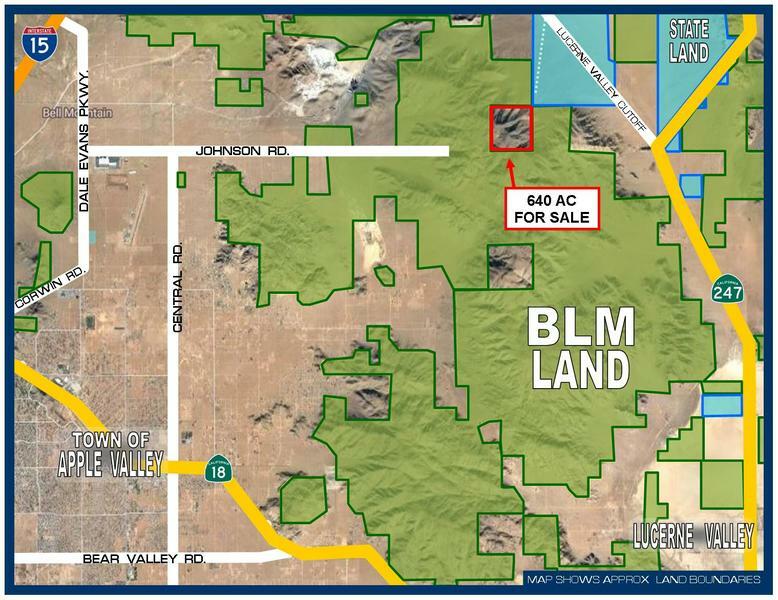 The property consists of 4 parcels within the mountain range between Apple Valley, Ca and Lucerne Valley CA in San Bernardino County. 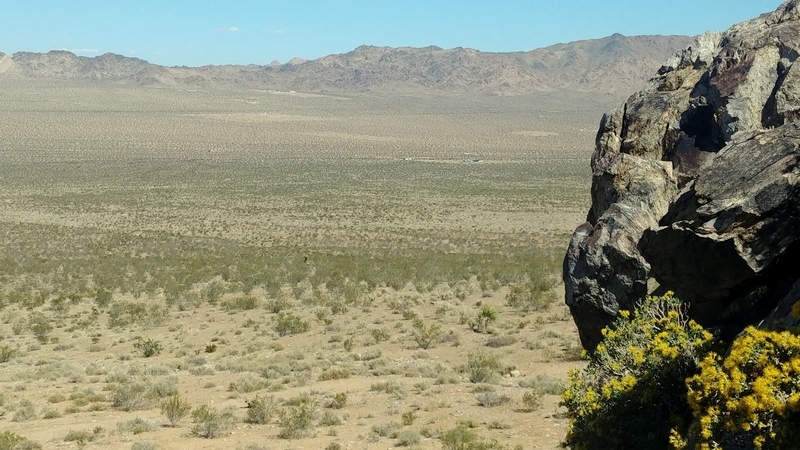 The property rests 3 miles northeast of Fairview Valley, 11.8 miles northwest of Lucerne Valley and 18.6 miles south of Barstow, CA. 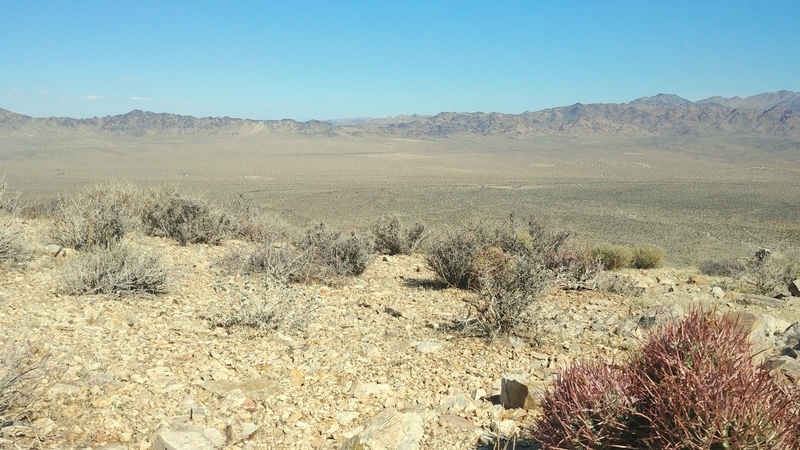 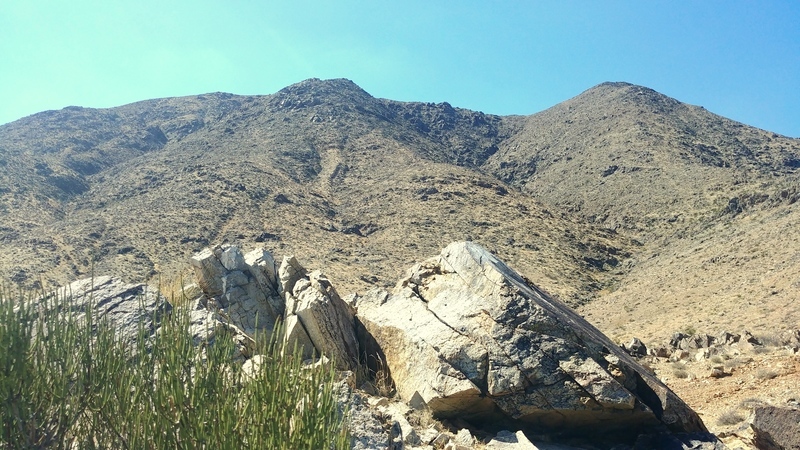 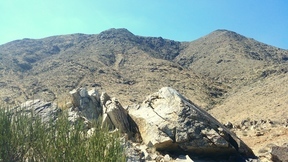 This property measures 1 mile by 1 mile (called a Section) and sits 2.8 miles west of the intersection of Lucerne Valley Cuttoff and Highway 247. Sidewinder Mountain peaks at 5,200 feet, the tallest in the range of mountains. 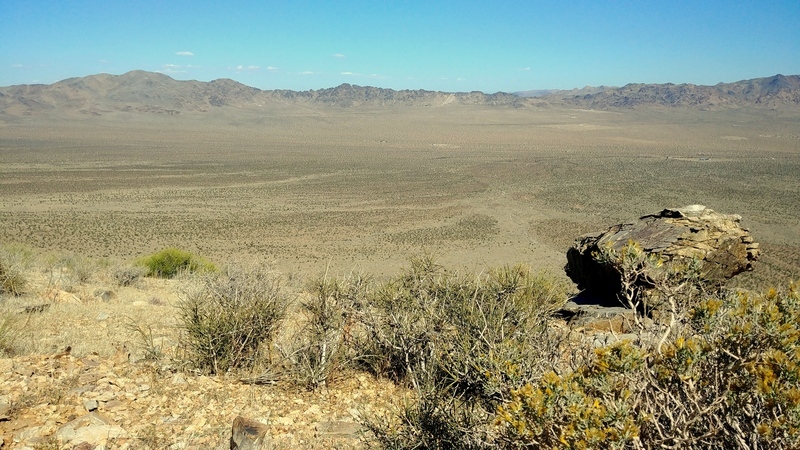 A few motorcycles trails and hiking trails dot the section, but most remains untouched. 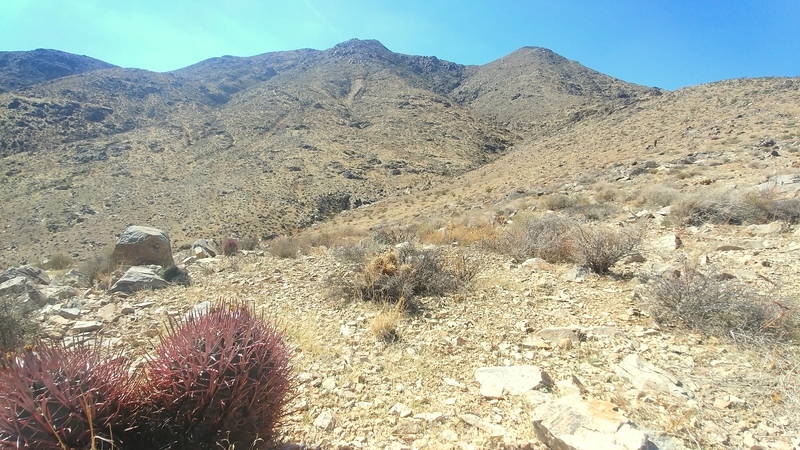 The property is speckled with barrel cactus, creosote, scrub bush and many rock formations. The views atop of the mountain view the surrounding valleys. 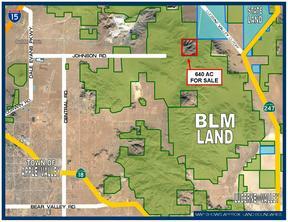 This property is surrounded by land owned by the state and federal government. 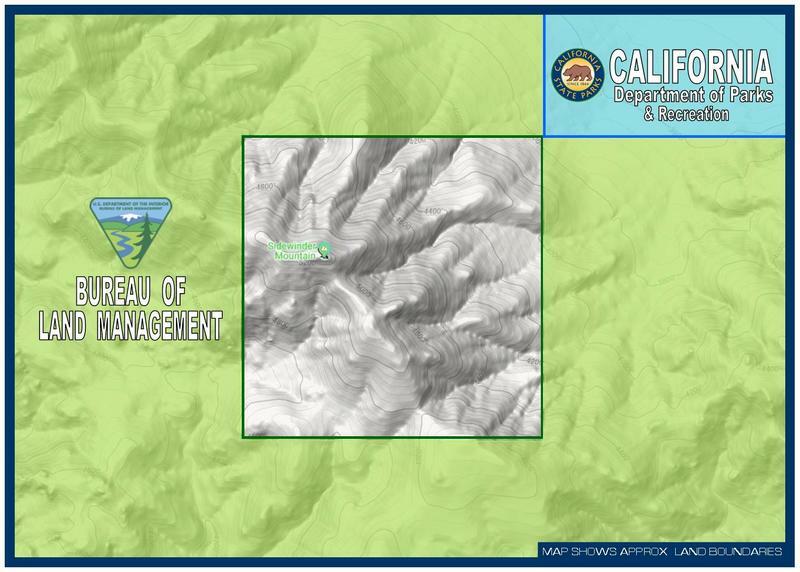 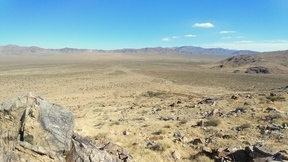 The federal land is managed by the Bureau of Land Management (BLM) and the state land is managed by the California Department of Parks and Recreation. There is no direct road access, the northeast section marker can be reached via a trail for a 4x4 off road vehicle or motorcycle. 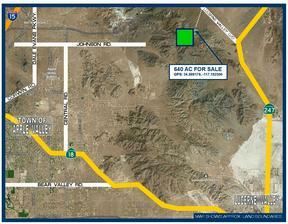 This property has been in the family for many years, but the time has come to find a new owner. The parcels being offered for sale are: 0464-051-19, 0464-051-20, 0464-051-21 and 0464-051-22. 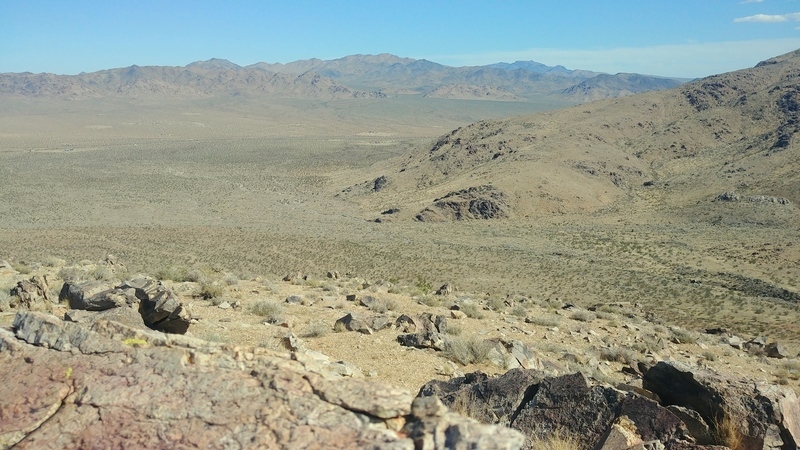 Directions: From Lucerne Valley, travel north on Highway 247 11.3 miles, turn left onto Lucerne Valley Cutoff and go 3.1 miles, turn left on a dirt trail and go approx 1.5 miles (road is very rough, 4x4 or high clearance required). 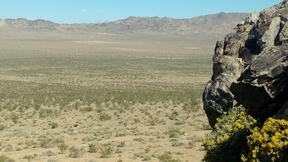 Northeast section marker (GPS: 34.6148460, -117.0296586) is approx 1,100 feet northwest (near the cottonwood tree).